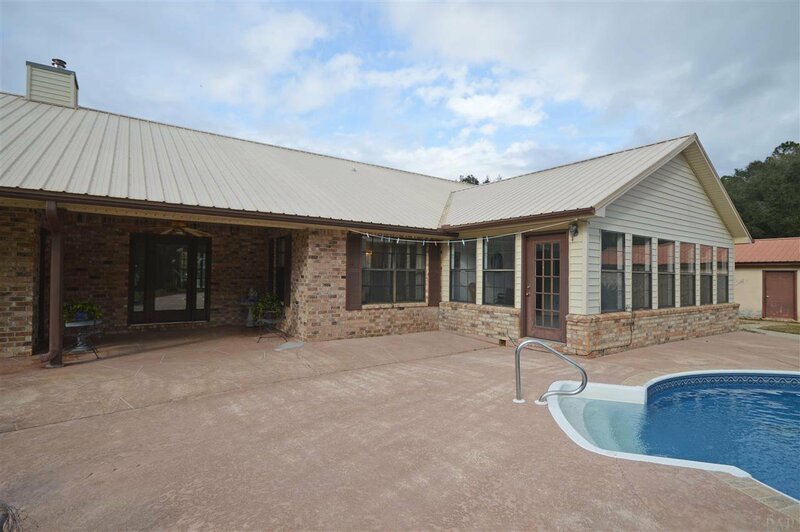 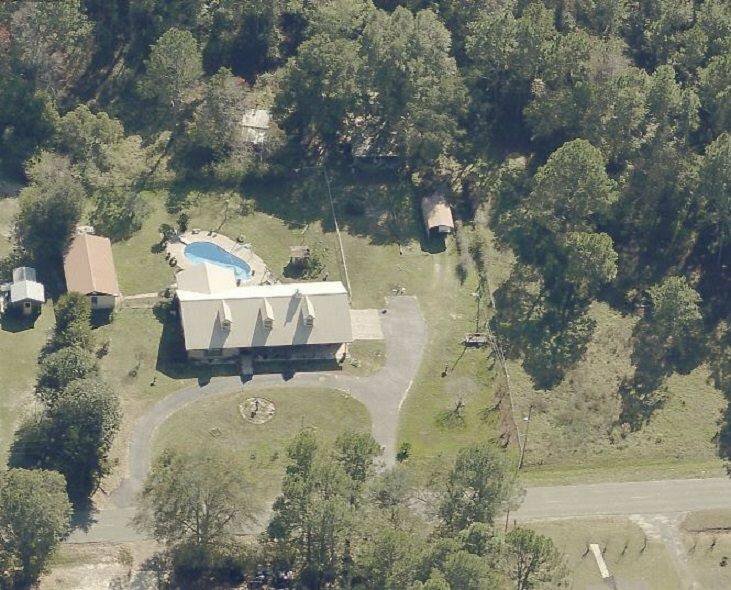 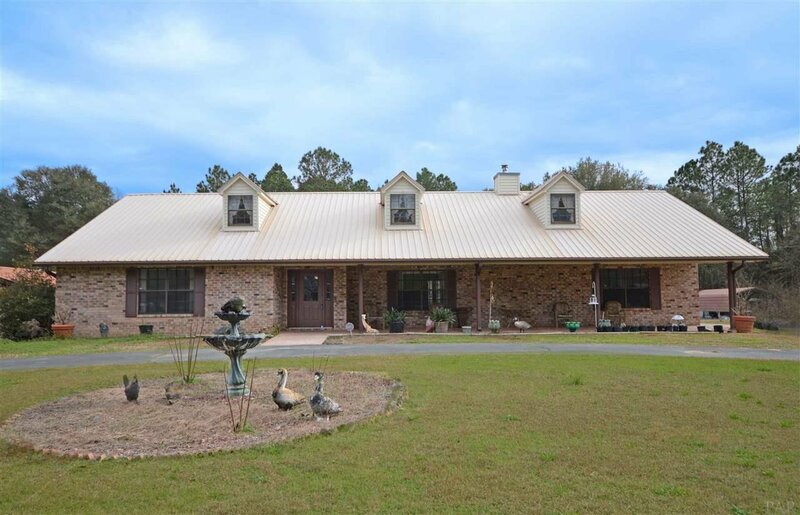 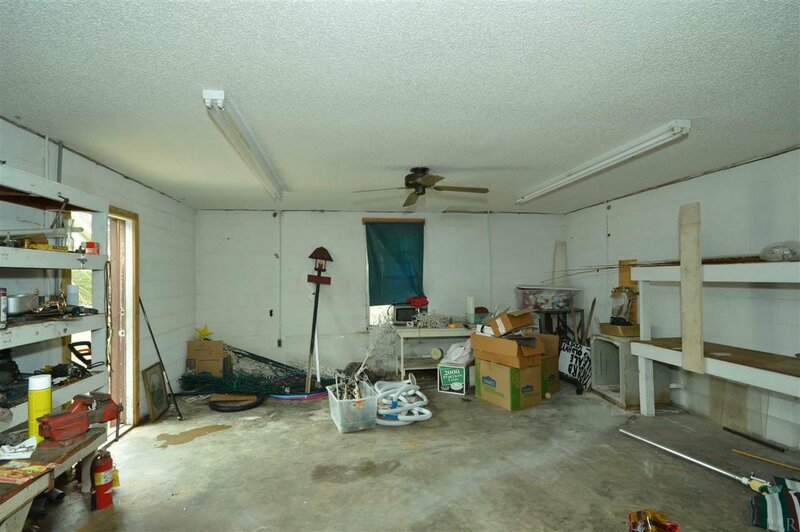 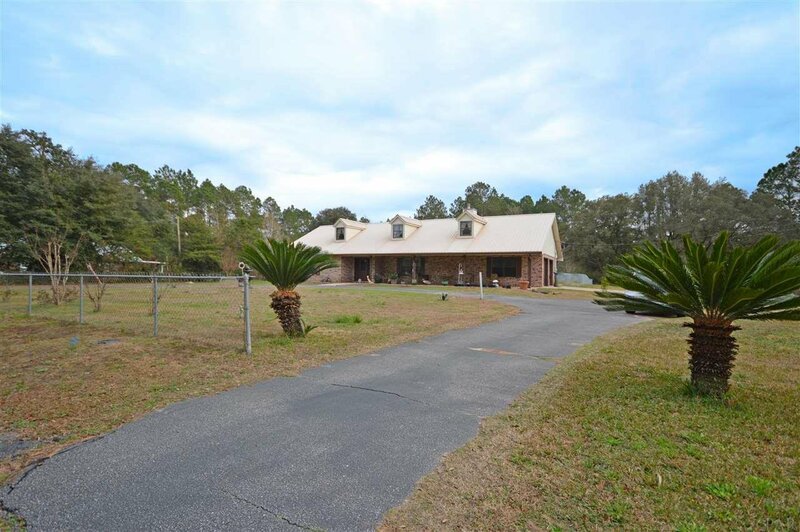 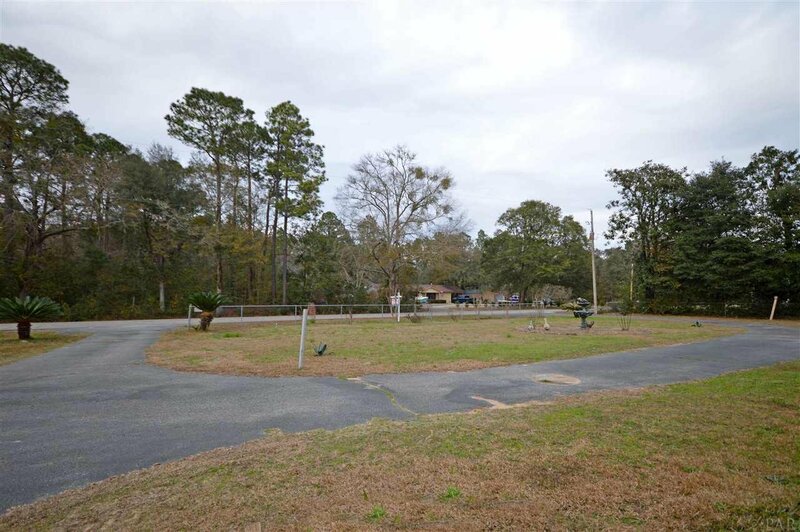 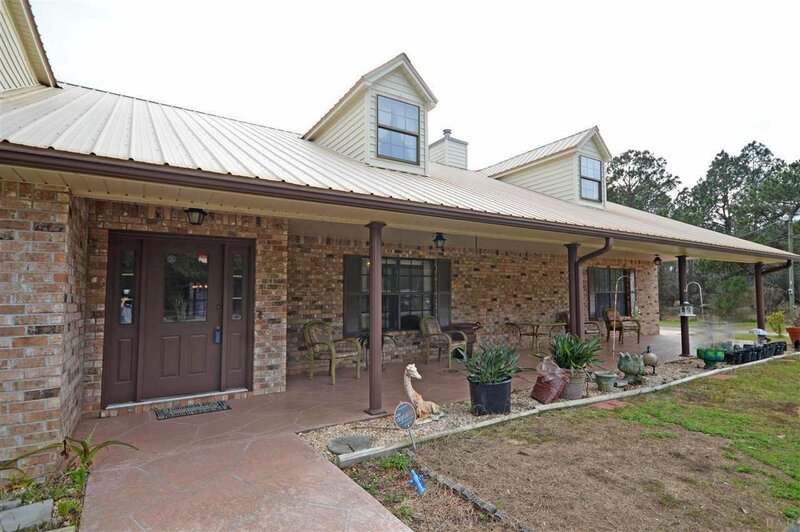 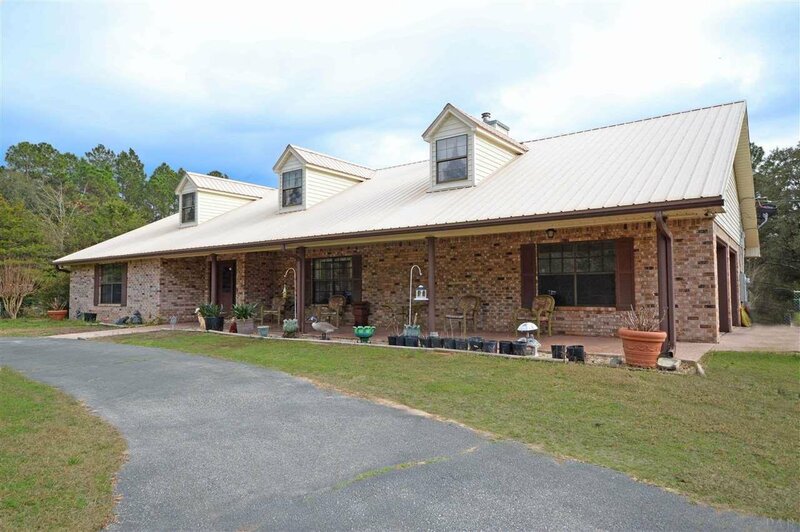 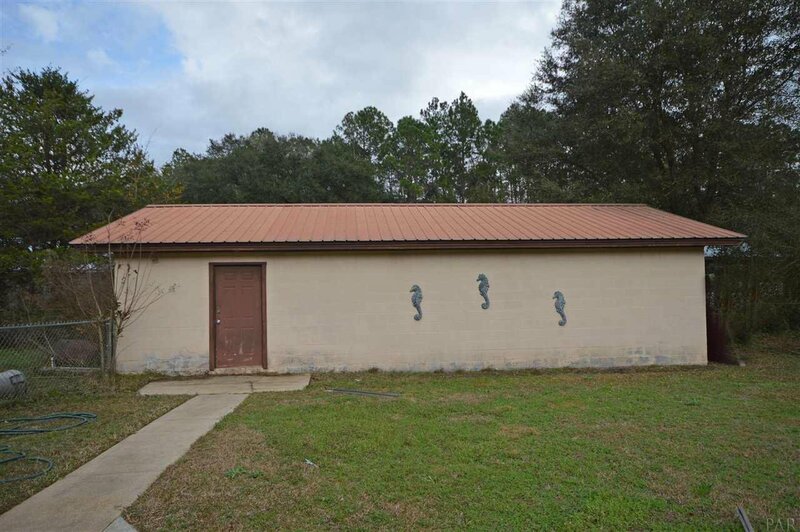 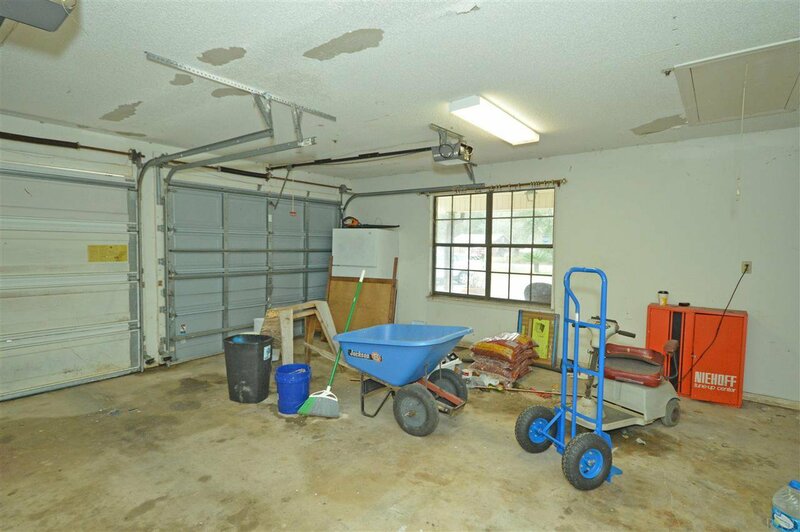 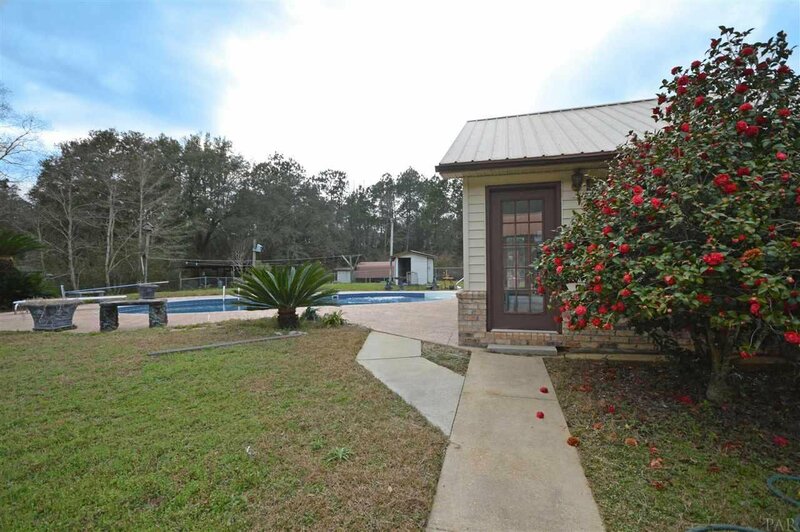 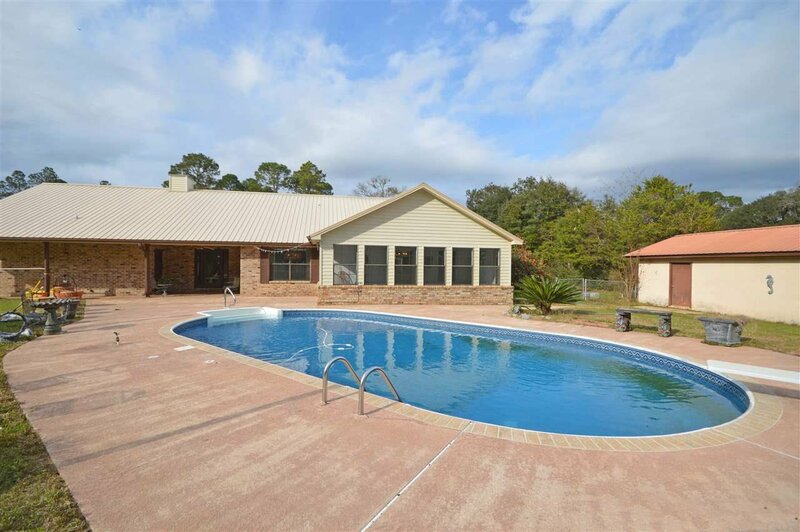 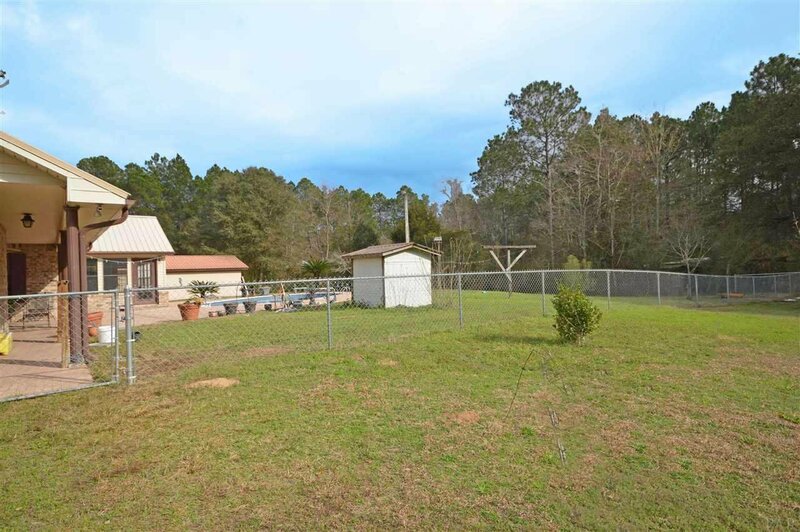 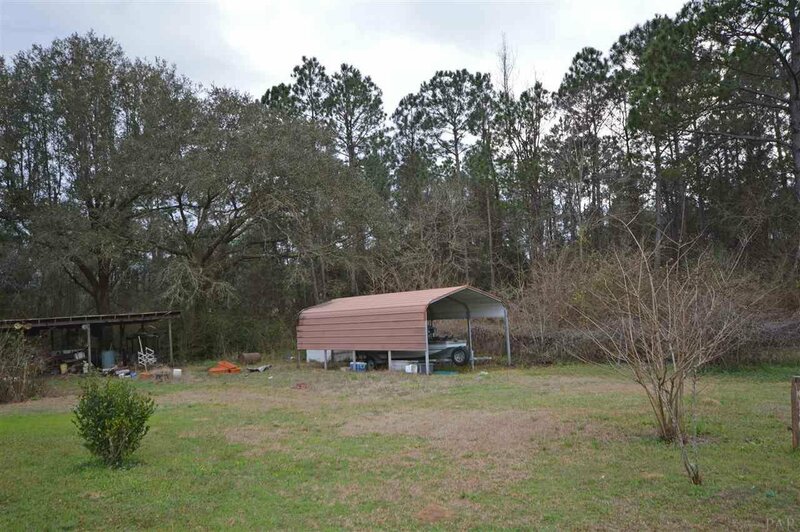 1 ACRE ~ POOL HOME ~ WORKSHOP with electric/water/half bath ~ NO CARPET ~ PRIVATE LOT ~ BOAT STORAGE ~ GREAT LOCATION ~ Private, country living but close to everything AND a great price makes this one you don’t want to miss! 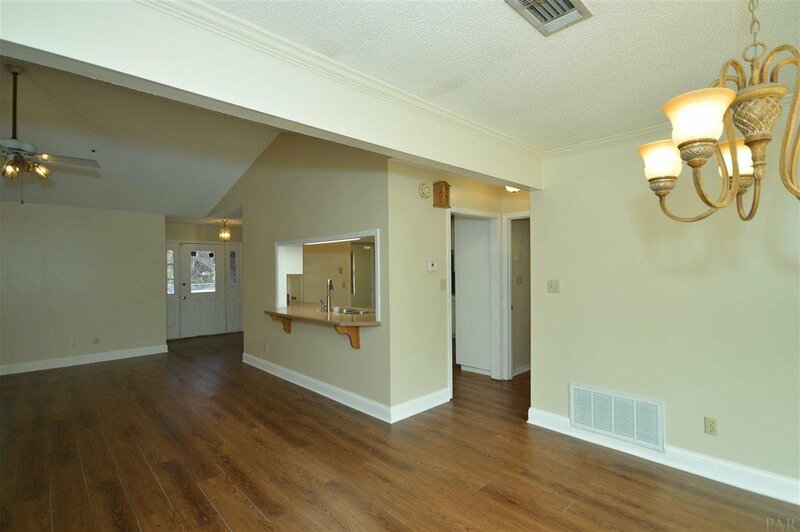 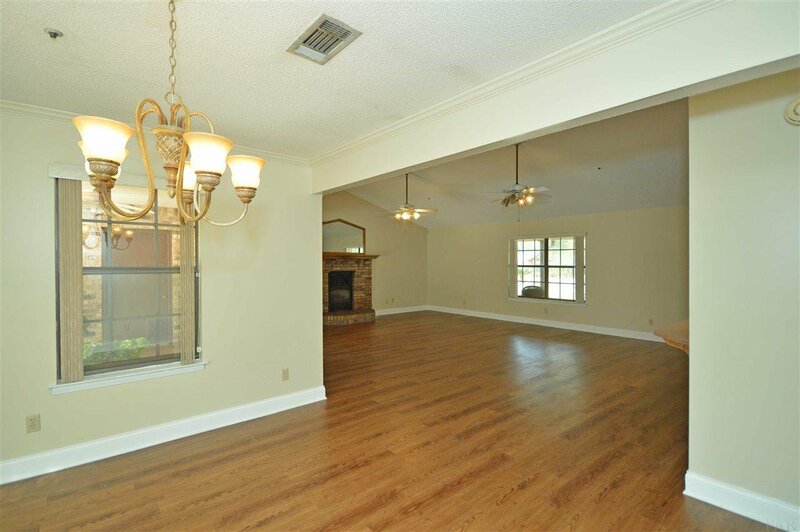 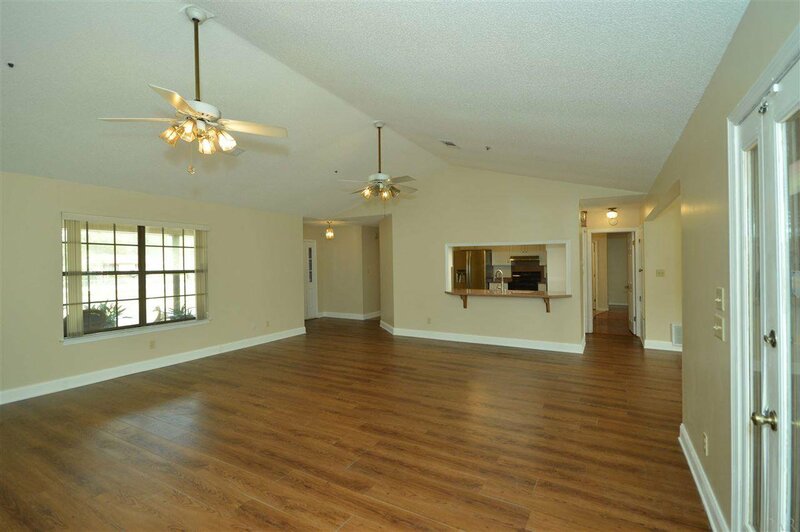 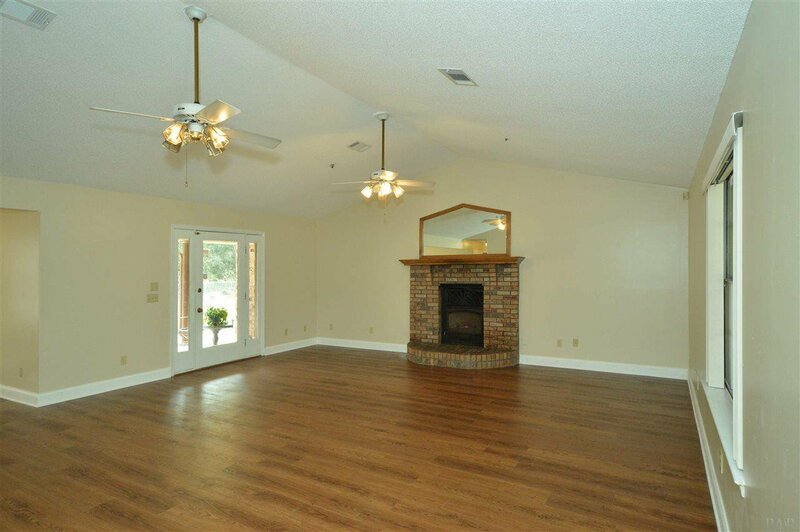 Foyer with new paint and new luxury vinyl plank floors opens to spacious family room. 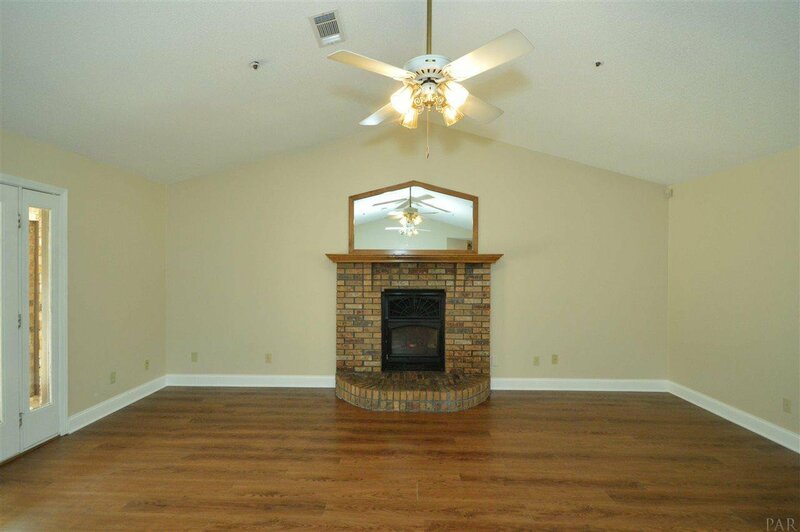 Family room has vaulted ceiling, 2 fans, wood burning fireplace, freshly painted and has new flooring. 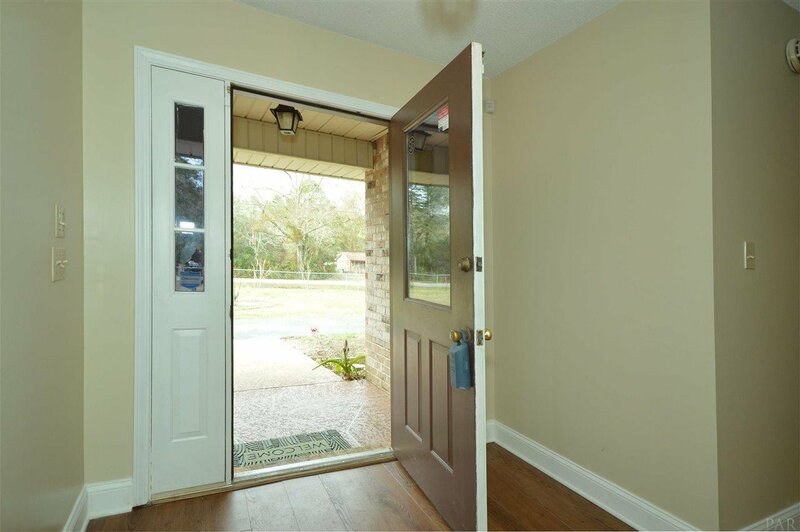 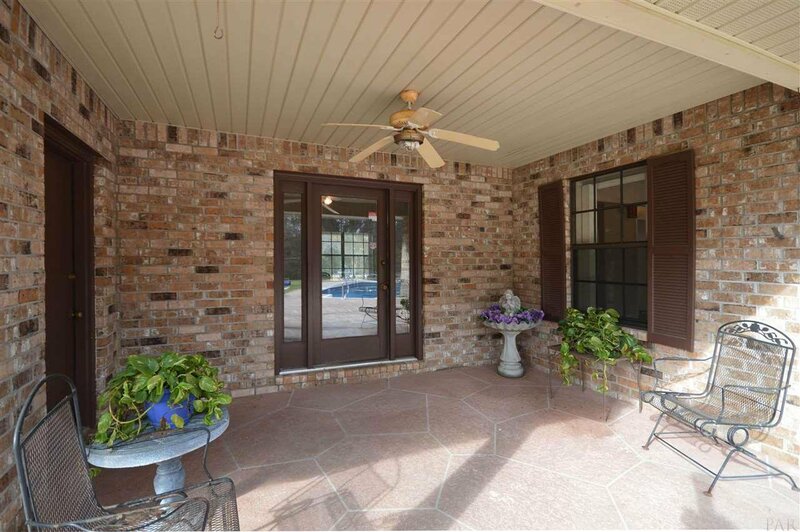 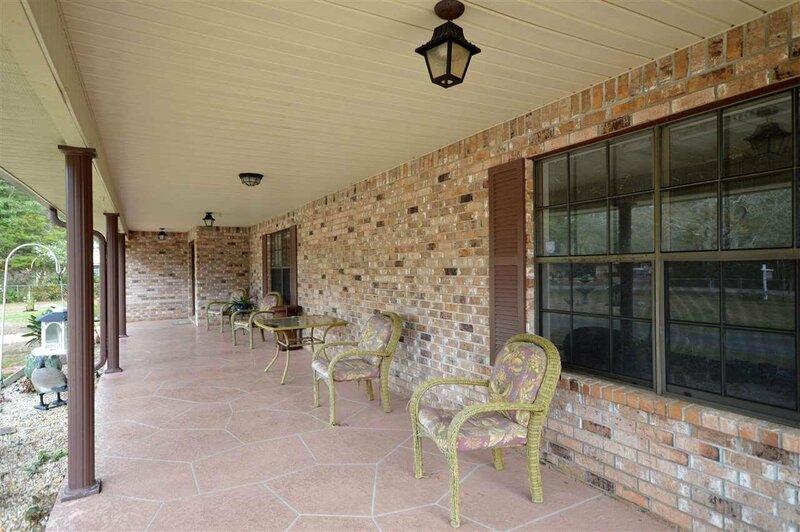 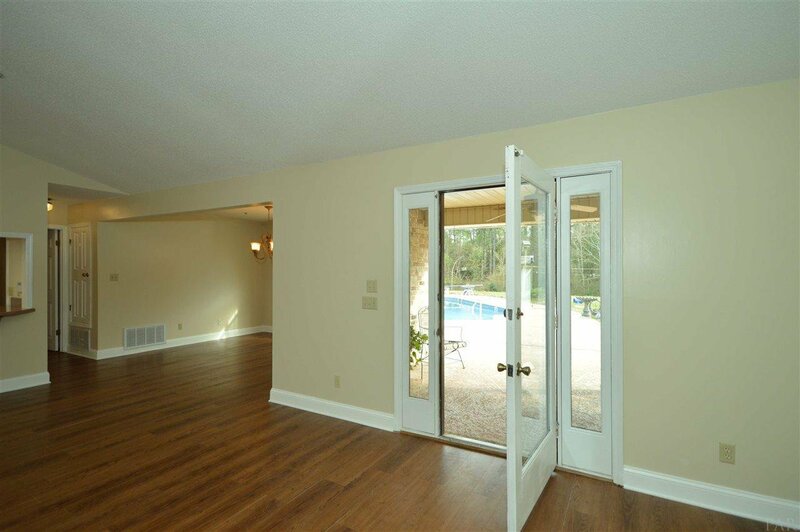 French door off family room leads to back pool patio. 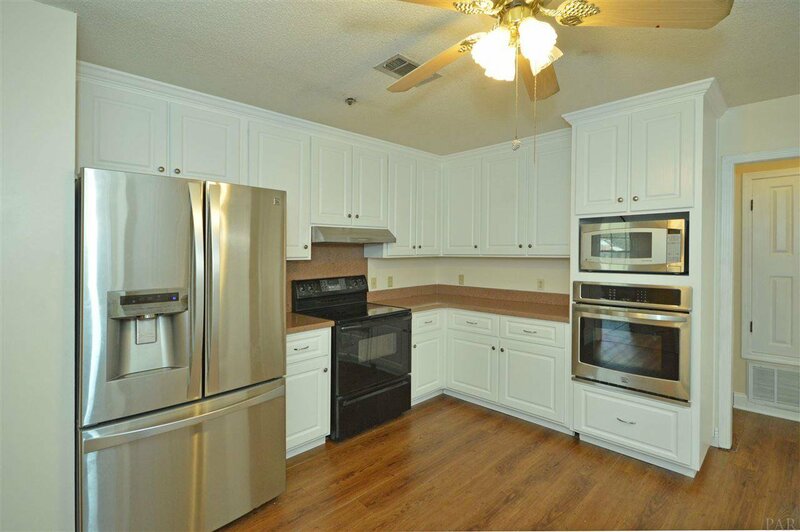 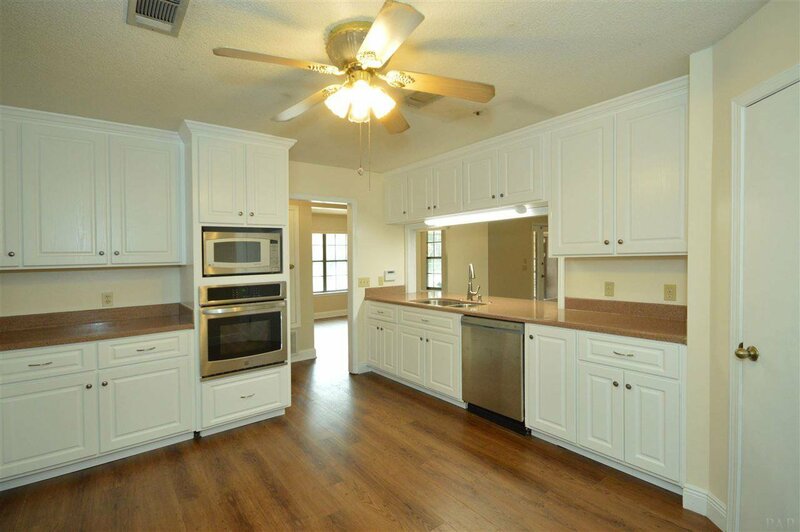 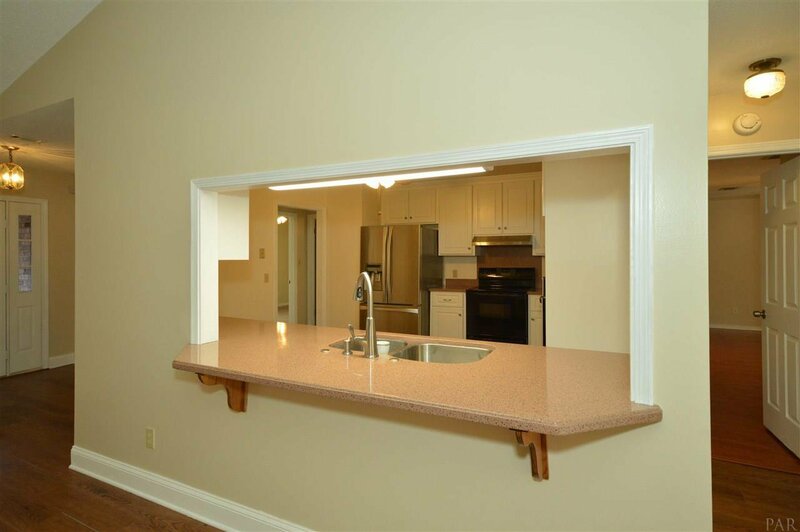 Kitchen is open to the family room and has tile floors, refrigerator, pantry, solid surface countertops and freshly painted cabinets. 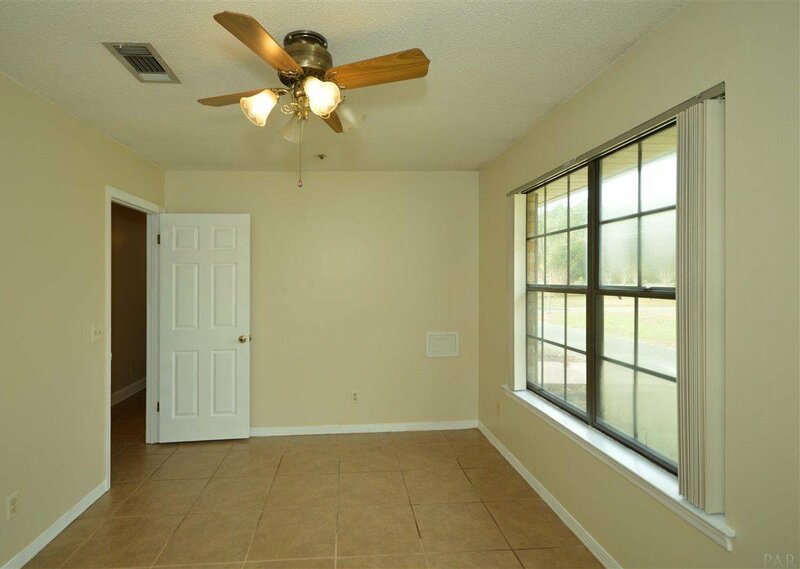 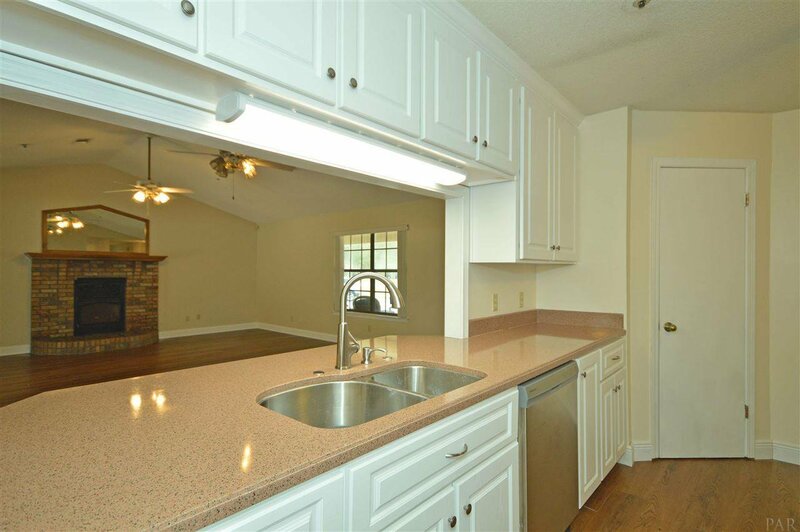 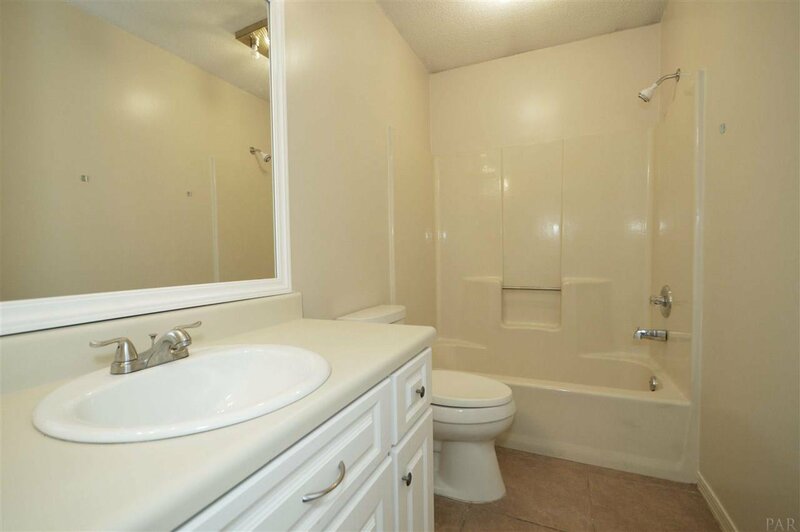 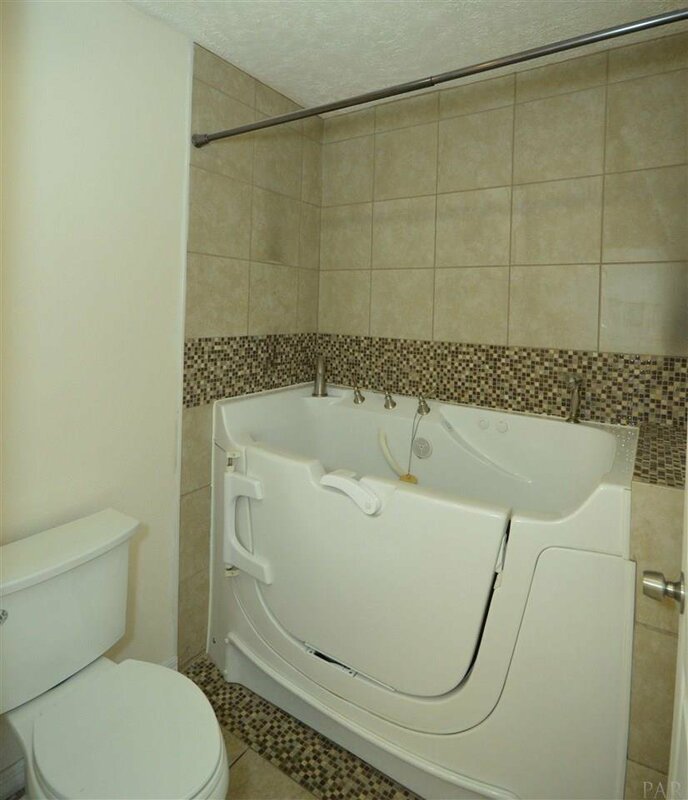 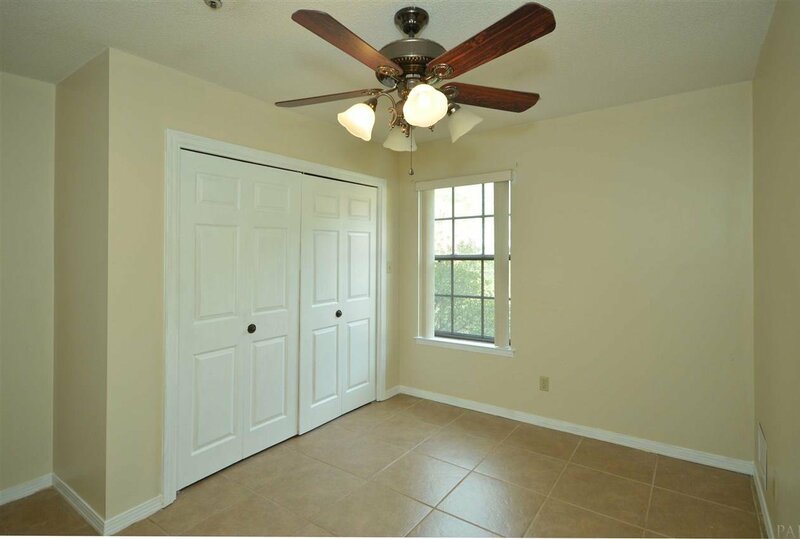 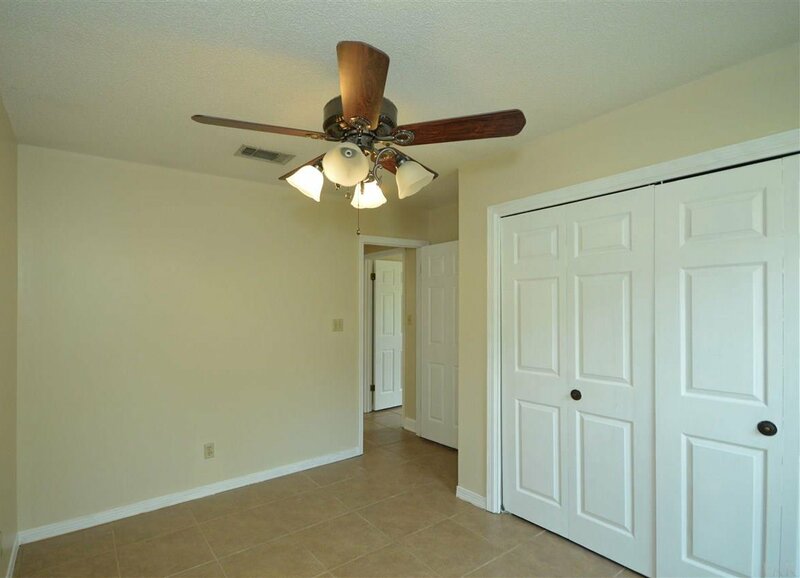 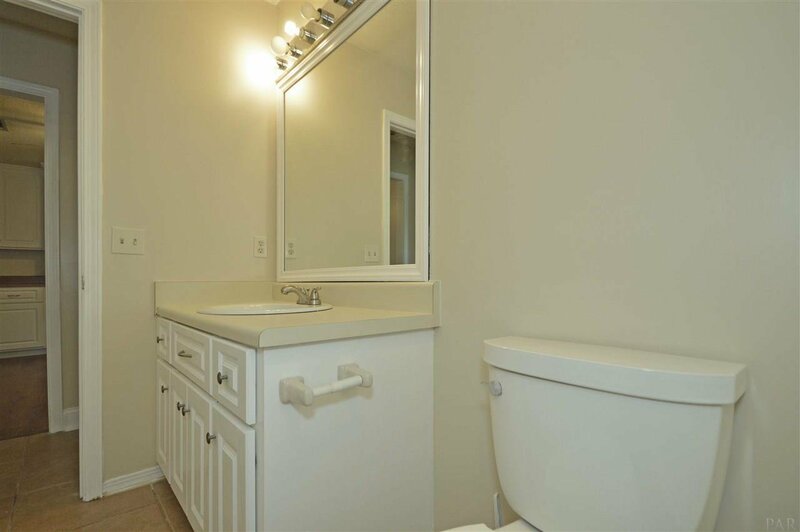 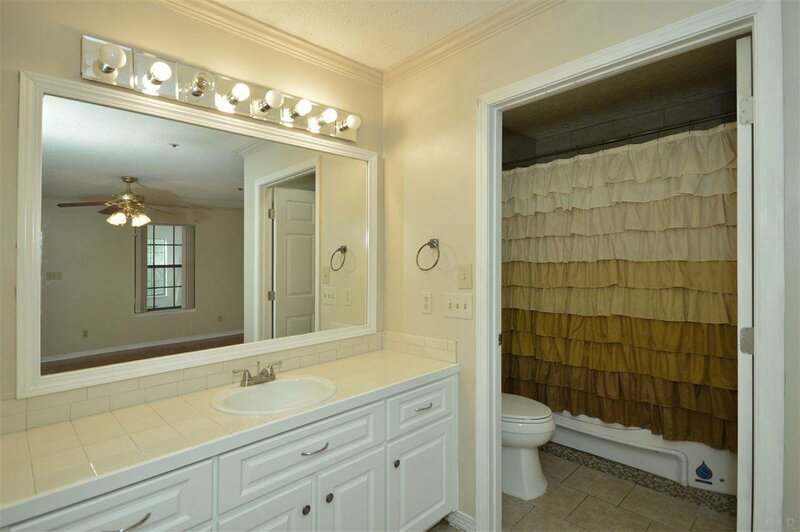 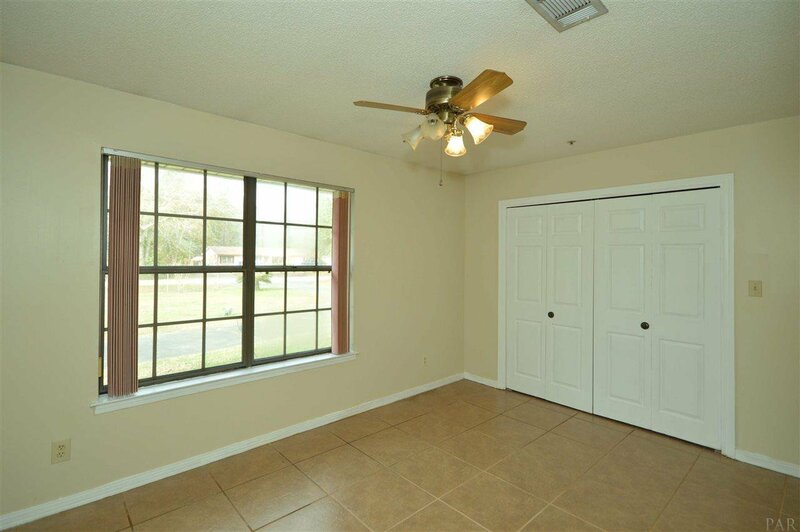 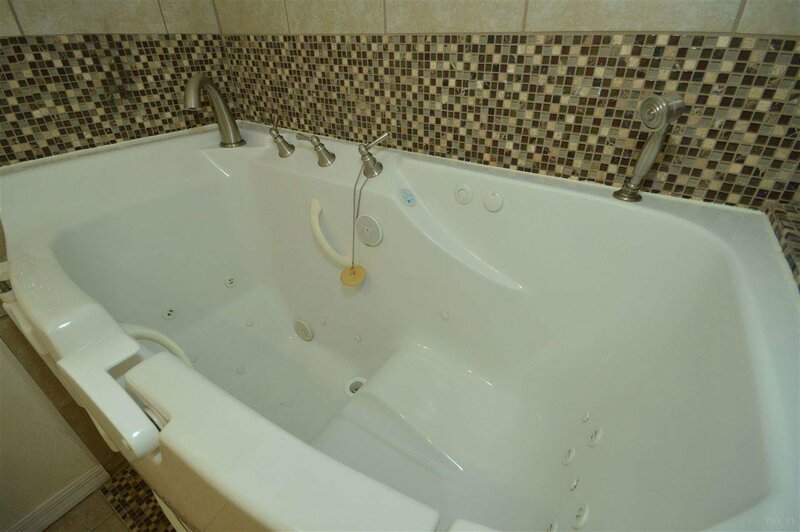 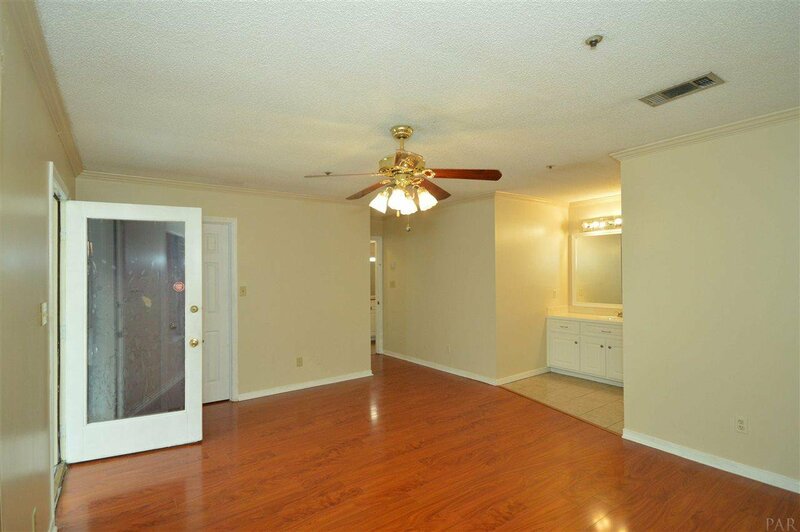 Master bedroom / master bathroom include tile countertops, walk in tub/shower (2014) and tile floors. 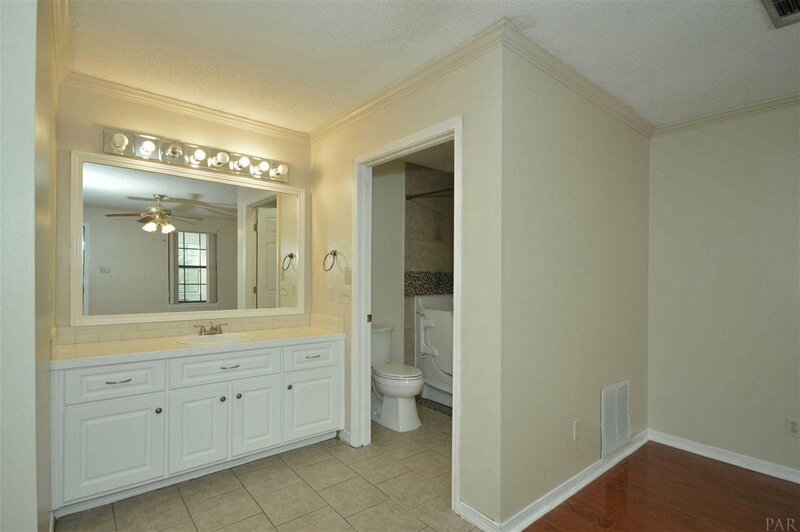 Split floor plan has 2 additional bedrooms that share a hall bath with single vanity, tile floors and tub/shower combo. 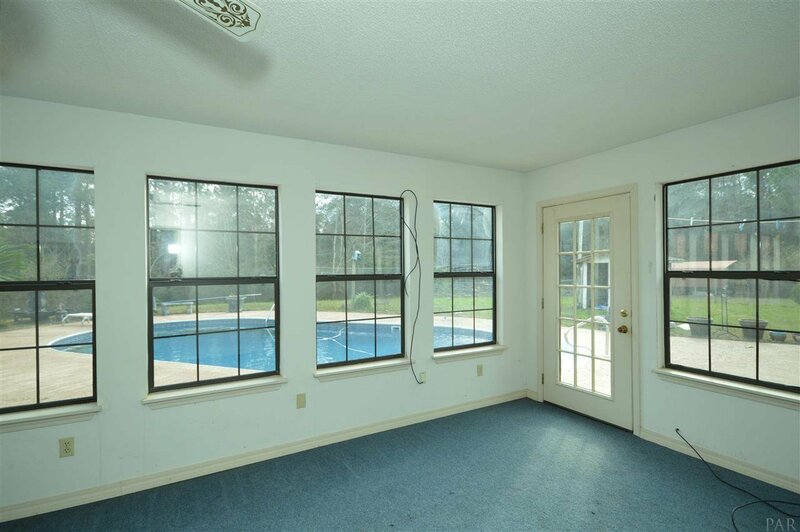 Sunroom off Master bedroom is ducted from HVAC and has 2 French doors – one leading to the workshop and other to the pool deck area. 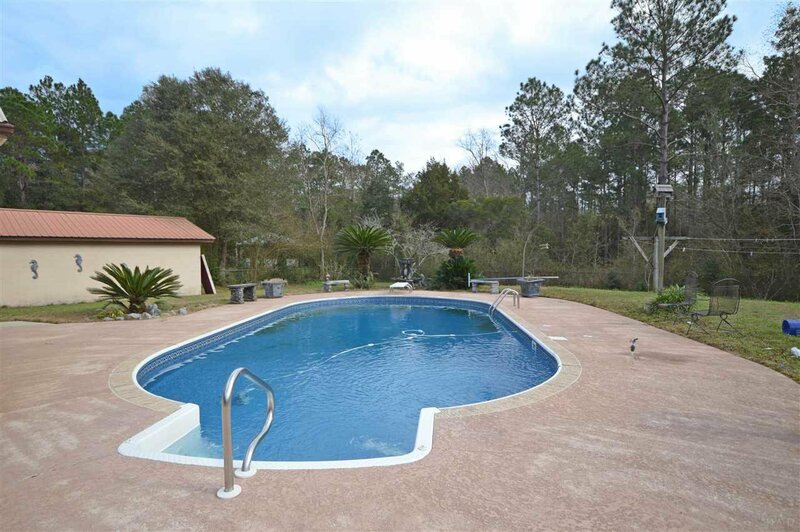 Pool has BRAND NEW LINER. 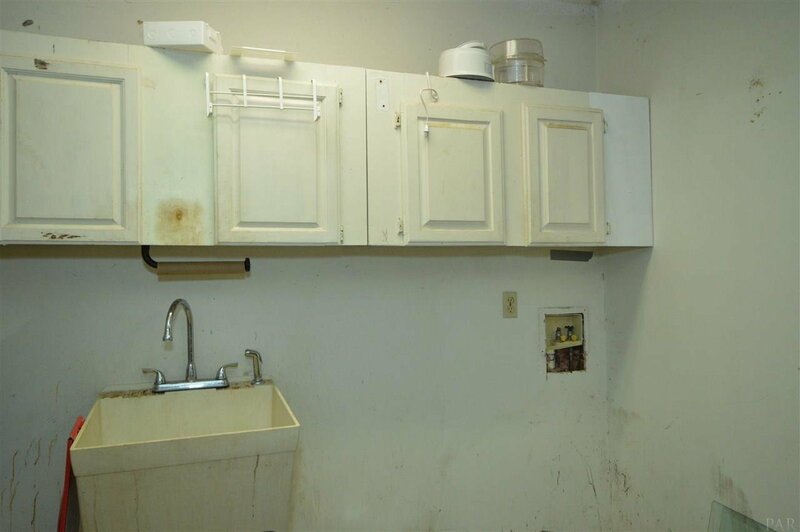 Other amenities include: whole house sprinkler system for fire protection; concrete block workshop (would be easy to convert to mother in law apartment or for a business); new luxury vinyl plank flooring in common area; metal roof on both house and workshop; half bath in garage (shower/toilet); Artesian well on property; boat ramp nearby; boat/camper shed; located in AE flood zone (have an estimate for flood insurance of $600/year), and MORE! 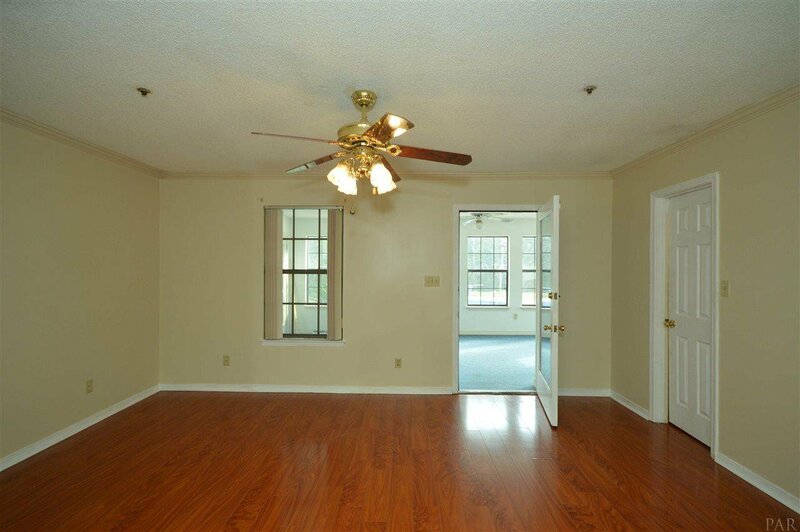 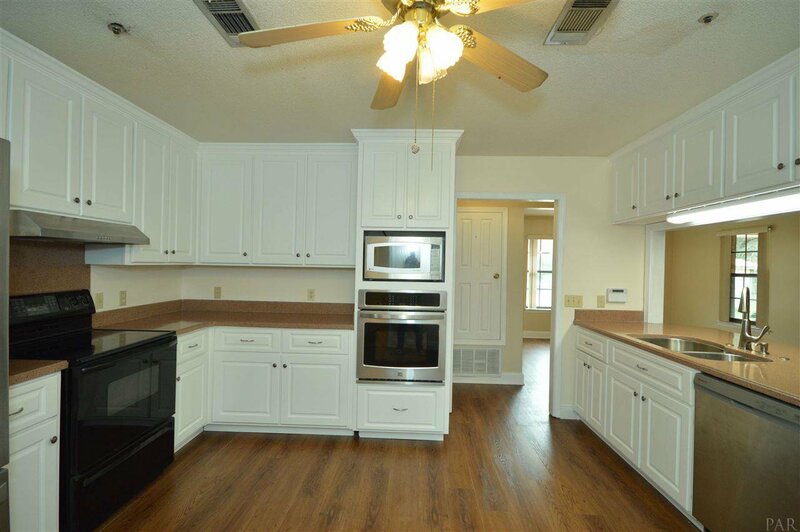 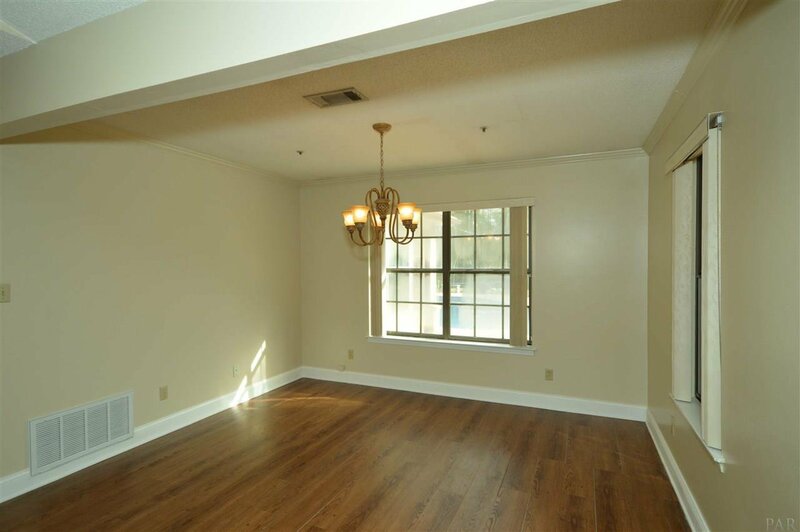 Sellers have installed new flooring in common areas and finished trim/painting to be ready for the new owner. 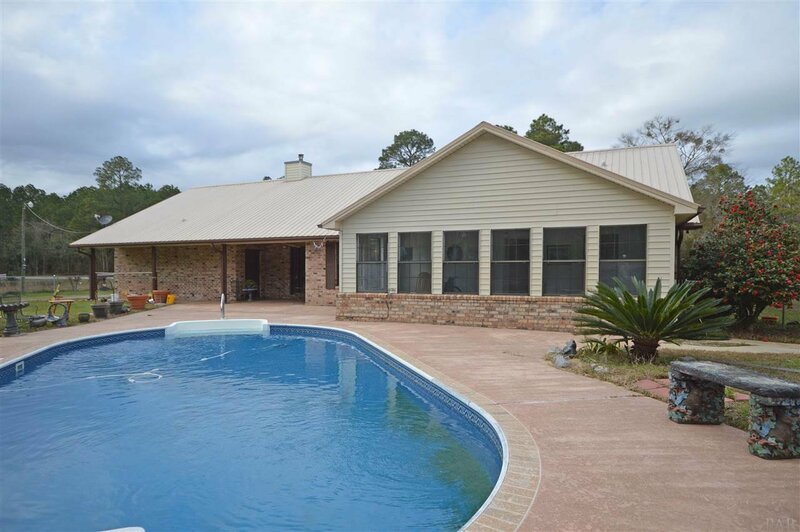 Great price for a great home! 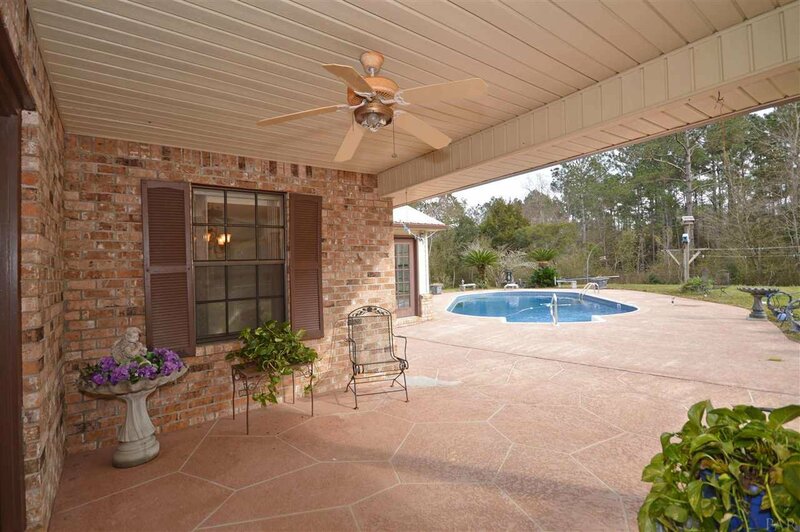 See this one soon… Call TODAY for your showing. 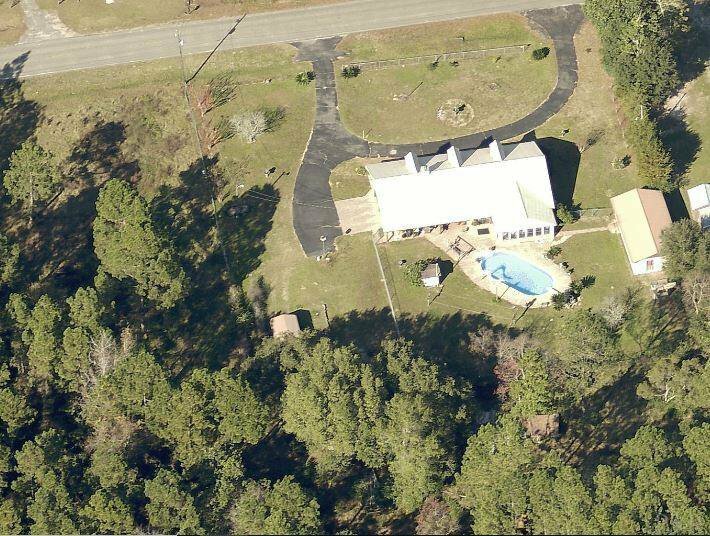 1 or 2 acres adjacent to property for sale as well at $15,000 per acre.